TOMMY BOWE is edging back towards full fitness, but will miss Ulster's crucial PRO12 clash with table-toppers Connacht at the Kingspan Stadium on Friday which will, however, see the return of three of his international team-mates to the matchday squad. The 31-year-old winger was initially ruled out for the rest of the season after having surgery on a knee injury sustained in Ireland's 43-20 World Cup quarter-final defeat by Argentina in October. 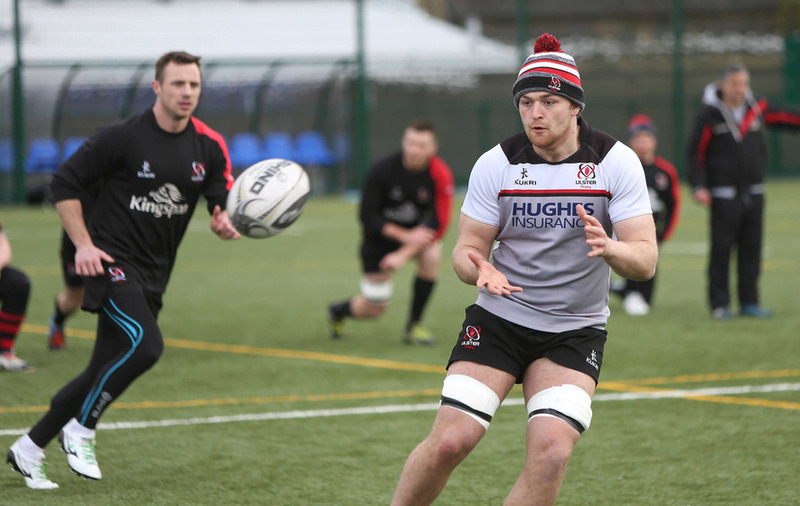 But Bowe has been making good progress lately and has been playing a full part in training so he could well make a return for next weekend's game with Zebre in Italy. 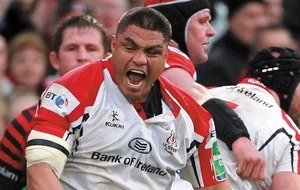 However, by that stage Ulster could be out of contention for a PRO12 play-off place if they fail to beat Connacht. Then, the goalposts would shift to an attempt to ensure a top-six finish in the regulation season to secure a European Champions Cup berth next season: "Tommy is getting closer, but it's an important management process; he's doing a lot of good things, some things have put him right into the selection board that we have," said Ulster director of rugby Less Kiss. "We will get the final indications from the medical and rehab people and the strength and conditioning coaches but he's not quite there yet. He's that close, but I can't give you a definite; I wouldn't say it's weeks away, it's a day by day thing, next week we'll see how he is." 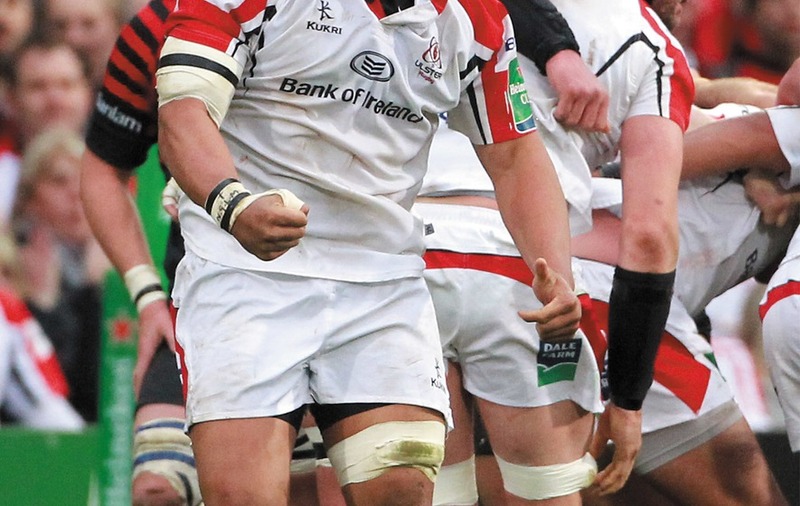 There was also positive news regarding number eight Nick Williams, who may be fit for the Zebre game as Kiss allayed fears the Kiwi may have played his last game for Ulster before he heads to Cardiff next season. 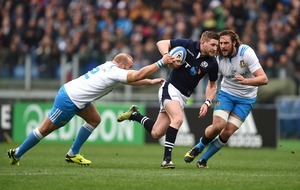 Williams suffered groin and shoulder damage in last week's 27-17 defeat by Glasgow at Scotstoun but should be back in harness in a week or two. Ulster are further weakened up front as Alan O'Connor is also a non-starter for tomorrow's game through injury but Rory Best, Andrew Trimble, and Jared Payne all return from Six Nations duty. 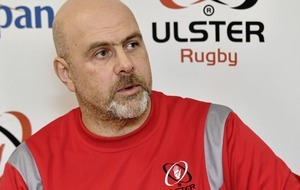 The defeat in Scotland last Friday night has piled the pressure on Ulster to deliver against Connacht but even four wins from their remaining matches might not be enough as other top-four contenders like Glasgow and Edinburgh have an easier run in and the former have a game in hand. "You look at every game and you say who's going to beat whom and where that will leave you on the ladder but each game becomes more desperate," said Kiss. "That's not lost on anyone. It was palpable in last week's lead up, it's palpable this week, in the preparation and in the meetings we have had. The important thing is not to get high jacked by the 'what ifs' but to focus on the things in front of you and that's what we are trying to focus on. "A lot of things will happen each week so we will just concentrate on Friday and see where we are after the Connacht game".